Italian food and wines play a major part of Italian lifestyle and culture. When you think of Italy and its culture, you think of classic romance, exceptional cuisine and of course remarkable wine. Do you want to live an experience that has all that? You definitely can! Before you think I am crazy by telling you to fly to Italy, let me fill you in on a secret. 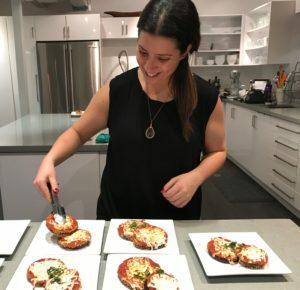 You can create your own authentic experience right here at home, as we did at our Italian food and wines event. All you need are the proper tools and setup to make it happen and we can help you. Italians put careful thought into the way everything fits together at a table. The food, wine, people and place are all important components. Italians thrive on family and personal contact and there is a valued art to drinking and eating. 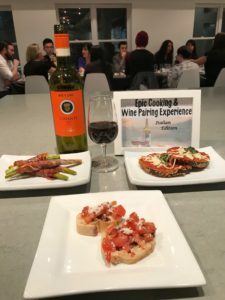 We took that all into account and created an authentic Italian food and wines night to remember. 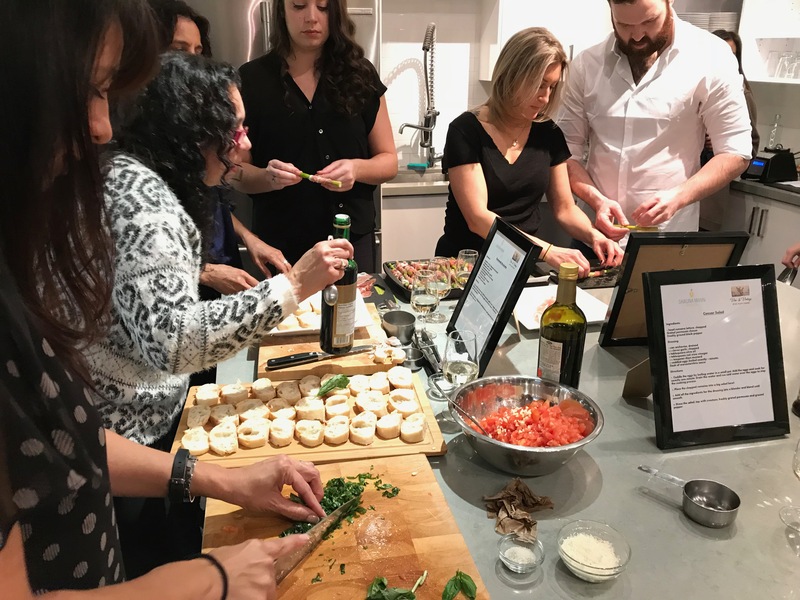 Last week, one of our public events in midtown Toronto, brought together a group of 12 strangers for a cooking class featuring an Italian food and wines pairing experience. 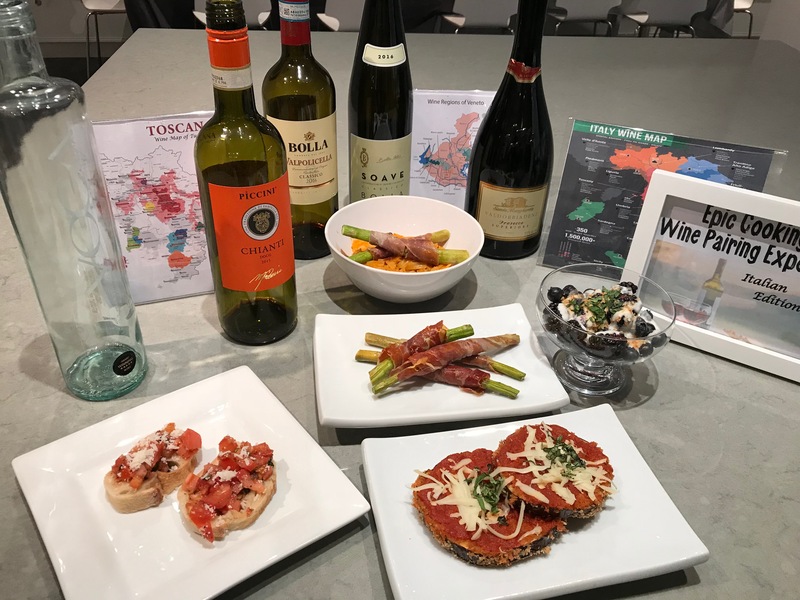 Before we get into the juicy details of our wonderful evening, here’s some history about Italy’s food and wine culture. It is no surprise that as a country, Italy produces more wine that any other nation in the world – making wine is like breathing; grapevines grow everywhere. It was not so long ago, that the daily source of local wine cost less than bread! In many other cultures, wine is intimately linked to food. But in Italy, the food and wine are welded. Traditionally, Italians created wine that was at its best with its national cuisine. 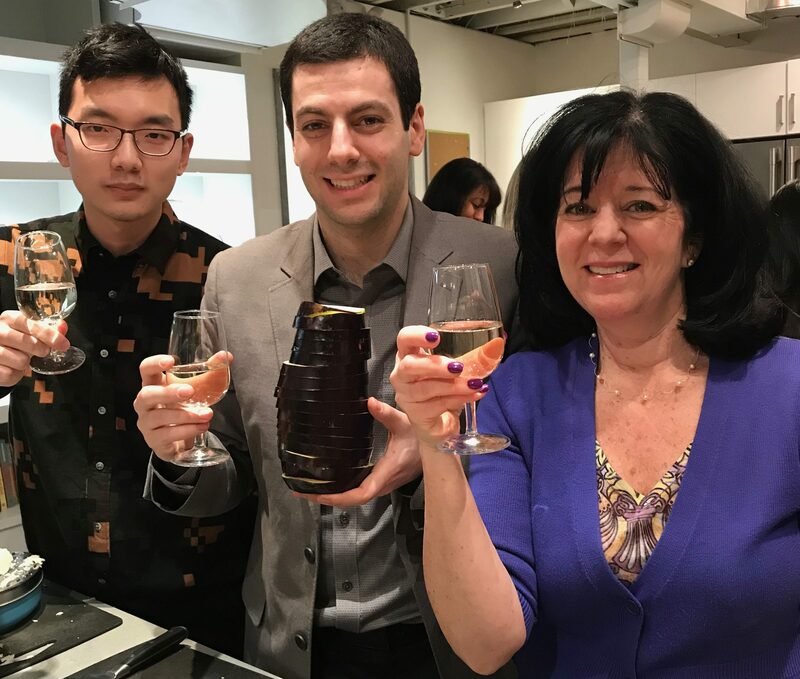 Locals have a great appreciation for their seemingly tart, lean, acidic and tannic wines as these characteristics accentuate flavours in food and enhance the overall experience. 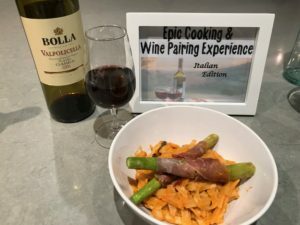 Who wouldn’t enjoy a bottle of classic Valpolicella on its own, but the experience of drinking Italian wine is not complete without food grown from the same soil, providing a sense of culture, an Ambiente (ambience or environment). 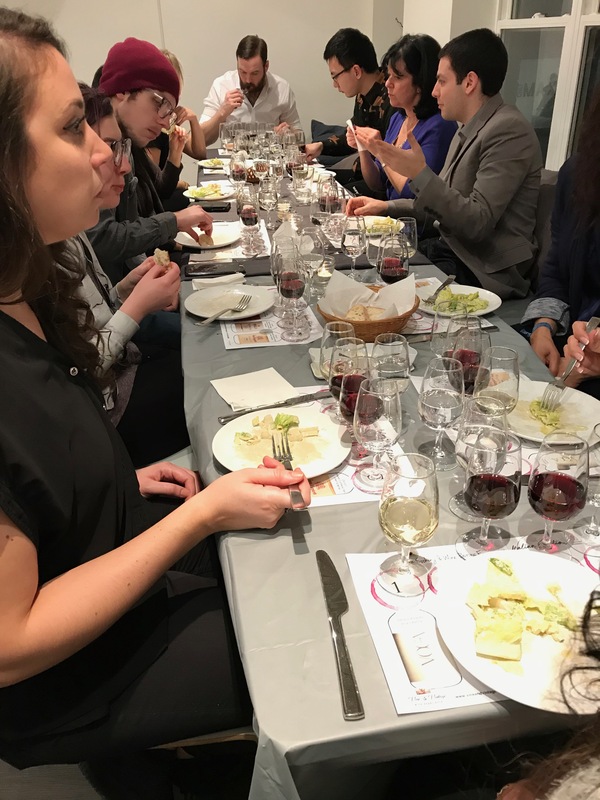 The Ambiente created for our guests at our Italian food and wines event was truly one of its kind as they were guided to prepare a 5-course meal while learning about 5 wines from famous Italian wine regions to pair alongside each dish, all the while making new friends along the way. To set the scene, the wine list was strictly Italian and the menu comprised of classic Italian favourites. The table included what is known as the Trinita Mediterranea (Mediterranean Holy Trinity); bread, olive oil and wine. Placed around the room were wine maps of Italy’s classic regions and once all our guests arrived at 7pm, we were set to go. 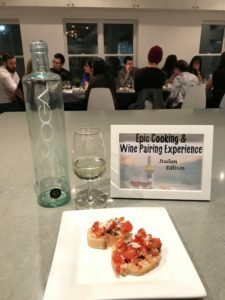 The Pinot Grigio was a great pairing to the bruschetta as the marked acidity of the tomatoes lowered the wine’s acid, providing a smoother mouth feel and more noticeable fruity flavour. 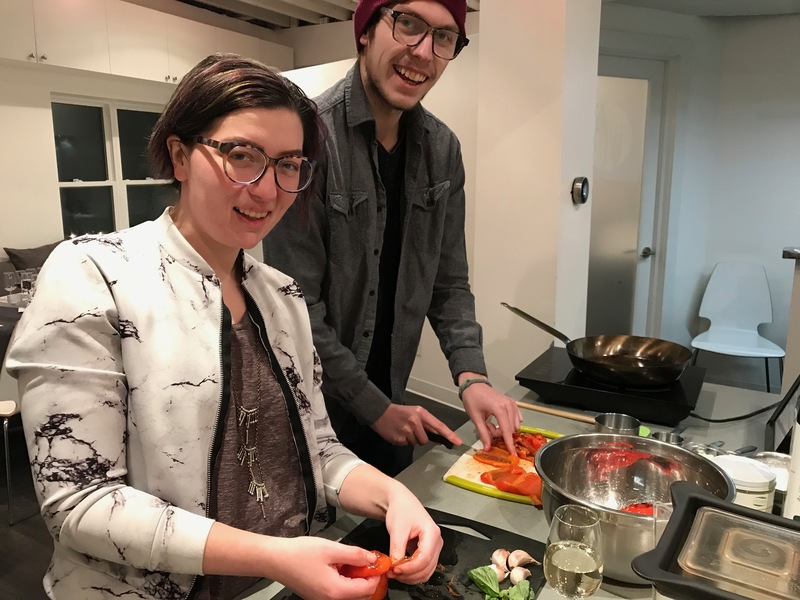 After recipes were complete, counters were cleared and mouth-watering aromas wafted through the air, our guests took their seats around the table to enjoy a lovely dinner. another. Parmesan cheese and crispy breading, this was a match made in heaven. I don’t know about the rest of you, but I am not a huge dessert person. I find I indulge too much during the main course and am always too full for something sweet after. 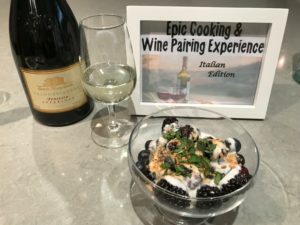 However, the lightness of the fresh cream and berries with a subtle crunch of cookie perfectly accompanied this fruity bouquet and well-balanced Prosecco. It was the perfect ending to a meal. 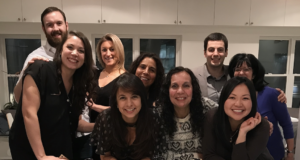 – a group of lovely women celebrating a special birthday. 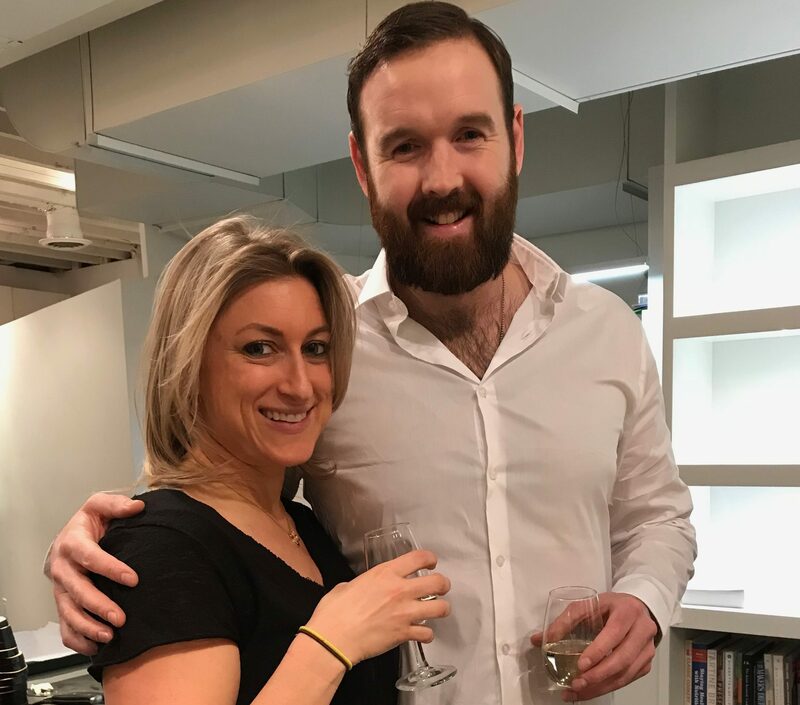 A group of people who would otherwise never have met, quickly became new friends swapping phone numbers and Instagram handles. 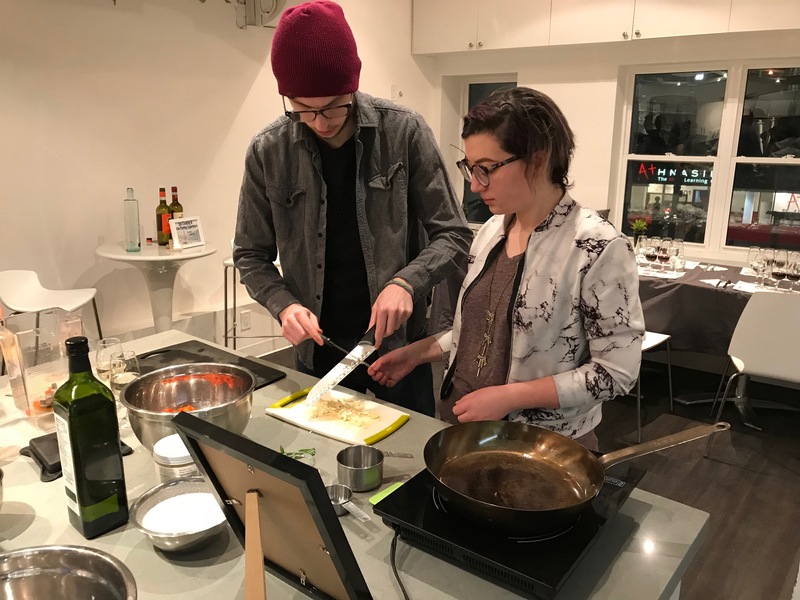 What if there was an experience where you could learn more about your own country’s culture, heritage, cuisine and wine? What if I told you it was just a click away…? 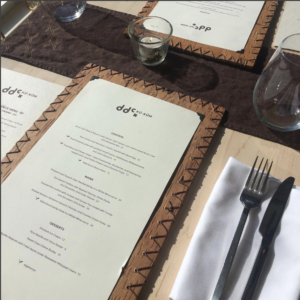 Join us for an Authentic Indigenous Food & Wine Pairing experience you won’t find anywhere else in the city! 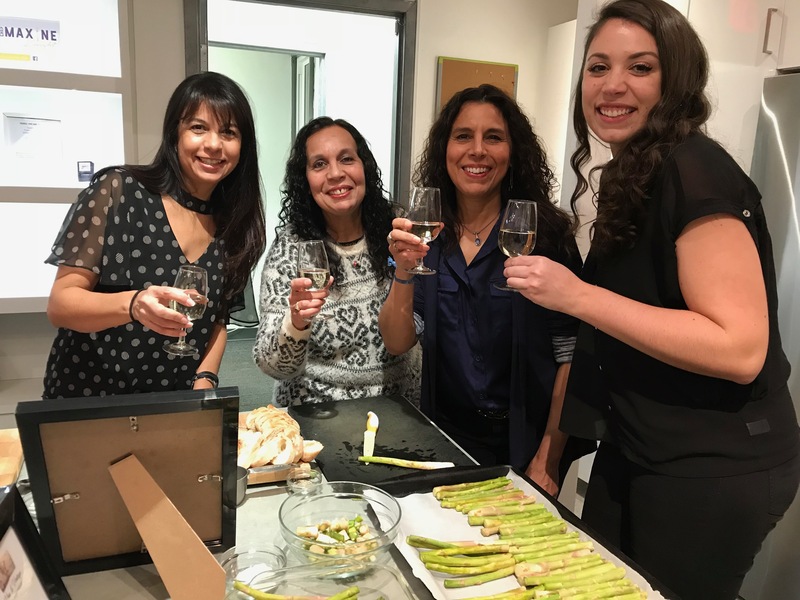 We have partnered with Toronto’s up and coming hot spot, Kūkŭm Kitchen to provide you with Indigenous food dishes and Canadian wine pairings during a special, interactive event. Hosted with Airbnb Experience.